Στην SEMA η Chip Foose και WD-40 θα παρουσιάσουν ένα βελτιωμένο Ford F-150. Διαθέτει Baja Forged προφυλακτήρες, βίντσι, roll cage και ζάντες 17″ με ελαστικά Falken Wild Peak A/T 37″. Στο εσωτερικό οι αλλαγές είναι περιορισμένες αφού εκεί συναντάμε ένα ηχοσύστημα της Clarion και Katzkin δερμάτινα καθίσματα. 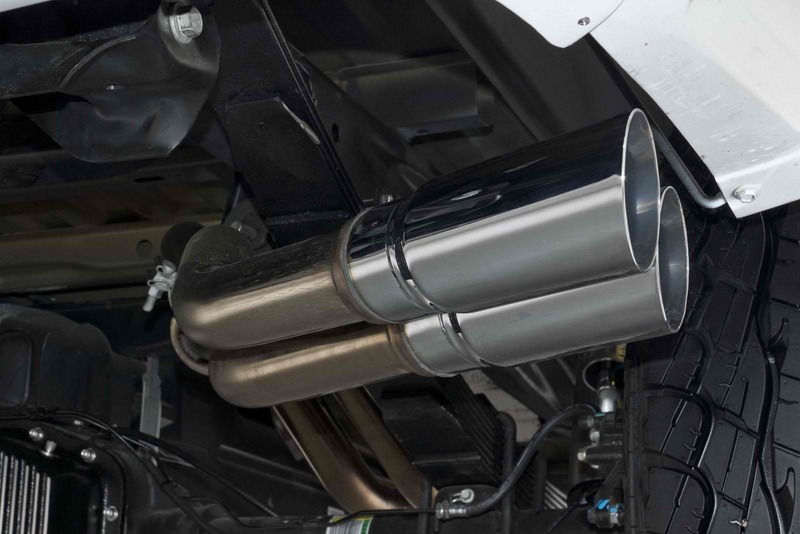 Κάτω από το καπό του υπάρχει ο V8 6,2-λίτρων κινητήρας ο οποίος φορά κομπρέσορα της Whipple, σύστημα ψεκασμού Water-Methanol και Magnaflow cat-back εξάτμιση, αποδίδοντας περισσότερα από 600 άλογα. Το αυτοκίνητο θα βγει σε κλήρωση, με τον κάθε λαχνό να κοστίζει 50 δολάρια και όλα τα έσοδα θα πάνε στα ιδρύματα Childhelp, Victory Junction και SEMA Memorial Scholarship Fund. 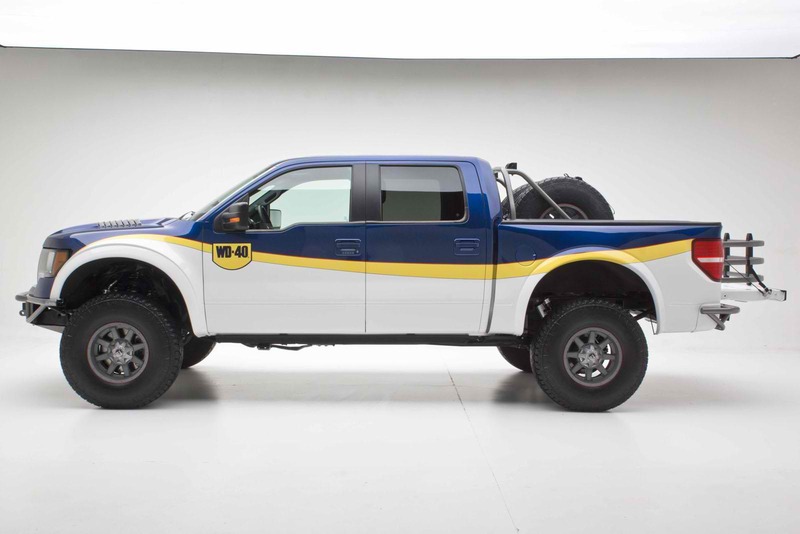 SAN DIEGO– Chip Foose and WD-40 Company are back at the SEMA Show, this time to debut a one-of-a-kind, custom off-road truck that will eventually be raffled off to one lucky winner, with proceeds benefiting three SEMA Cares charities. 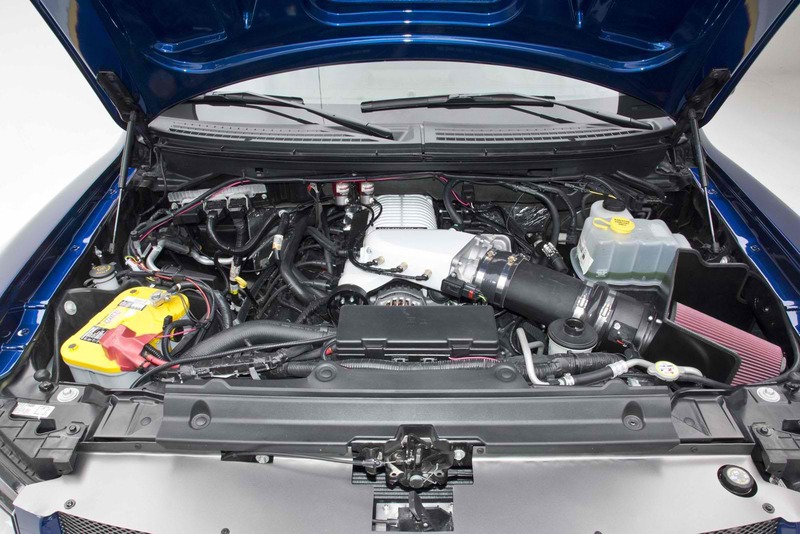 The Foose-inspired vehicle, dubbed the WD-40®/SEMA Cares Foose Ford F-150, was the first vehicle built inside the new state-of-the-art SEMA Garage – a facility that allows SEMA member companies to test and prototype parts, try its 3D modeling and printing, and use its full-scale photo studio, among other things. Through a partnership with the Alex Xydias Center for Automotive Arts (AXC), underprivileged teens and young adults worked alongside leading SEMA manufacturers to install parts and equipment on the special project vehicle. 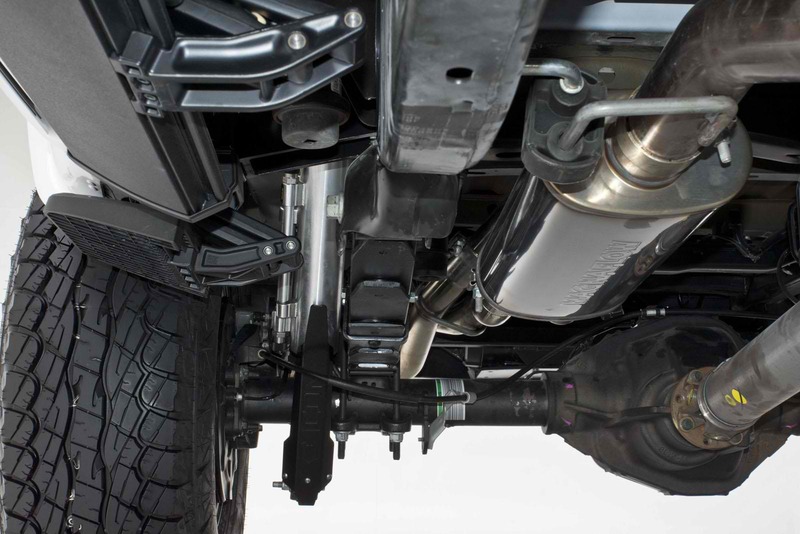 Equipped with high performance aftermarket parts, the unique, modified truck pays tribute to the off-roaders, truck enthusiasts and aftermarket companies who have used and trusted WD-40 Company products for 60 years to get the job done. 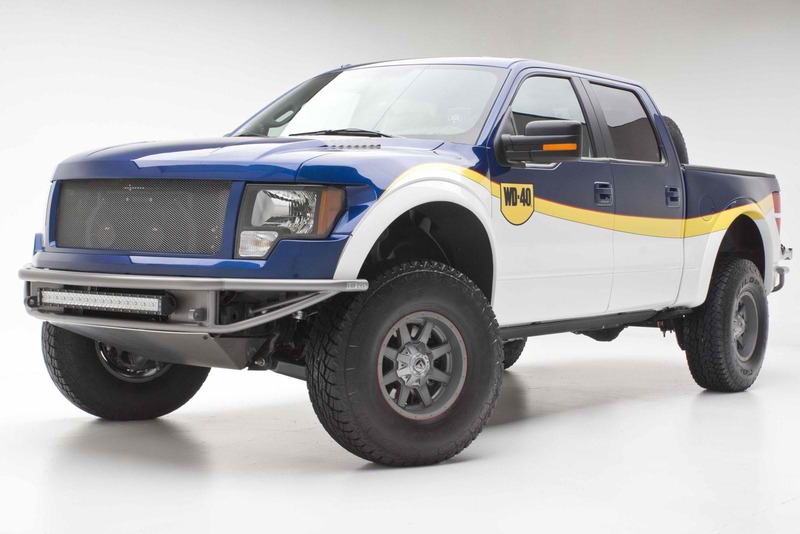 Instead of being auctioned like previous WD-40/SEMA Cares vehicles, the enhanced 2013 Ford F-150 Lariat will be raffled off to one lucky winner in early May 2014. With raffle tickets only costing $50 starting Nov. 1, 2013, owning a Foose-inspired truck is now more accessible than ever to all automotive enthusiasts. Proceeds from the raffled vehicle will benefit three SEMA Cares charities – the SEMA Memorial Scholarship Fund, which is dedicated to fostering the next generation of automotive leaders and innovators; Childhelp®, an organization that provides services to abused and neglected children; and Victory Junction, an organization that provides life-changing camping experiences to special needs and chronically ill children. The custom vehicle was painted with BASF Onyx HD paint by LGE-CTS Motorsports and features a Whipple supercharger, Gale Banks Straight-Shot performance system and Magnaflow cat-back exhaust system that give its 6.2L V8 more than 600 horsepower. 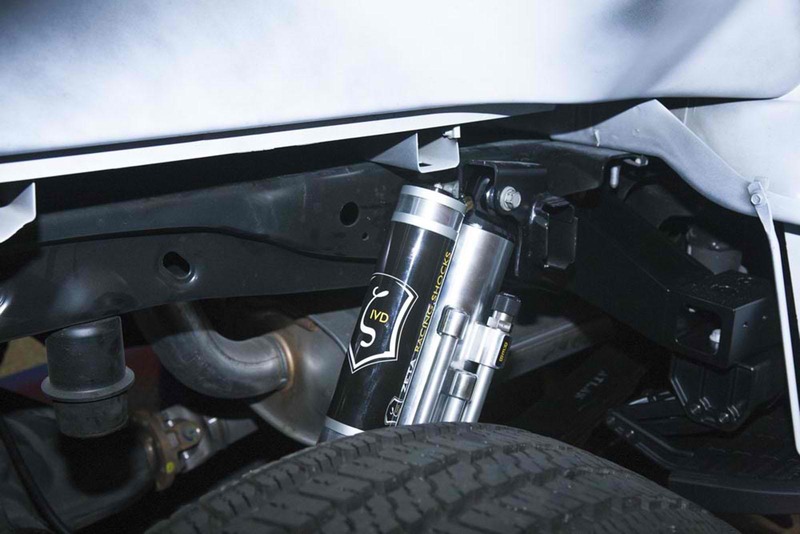 To make it off-road ready, the truck also features a converted front Raptor suspension with ICON Vehicle Dynamics 3.0 coilovers and upper uniball billet arms, as well as ICON rear triple bypass shocks with Atlas 3.0+ leaf springs. Outfitted with Baja Forged front and rear bumpers by LGE-CTS Motorsports, a custom bed cage, Bulldog LED lighting and a WARN winch, the custom Ford F-150 also has a Boatec Raptor fiberglass hood, fenders and bedsides. 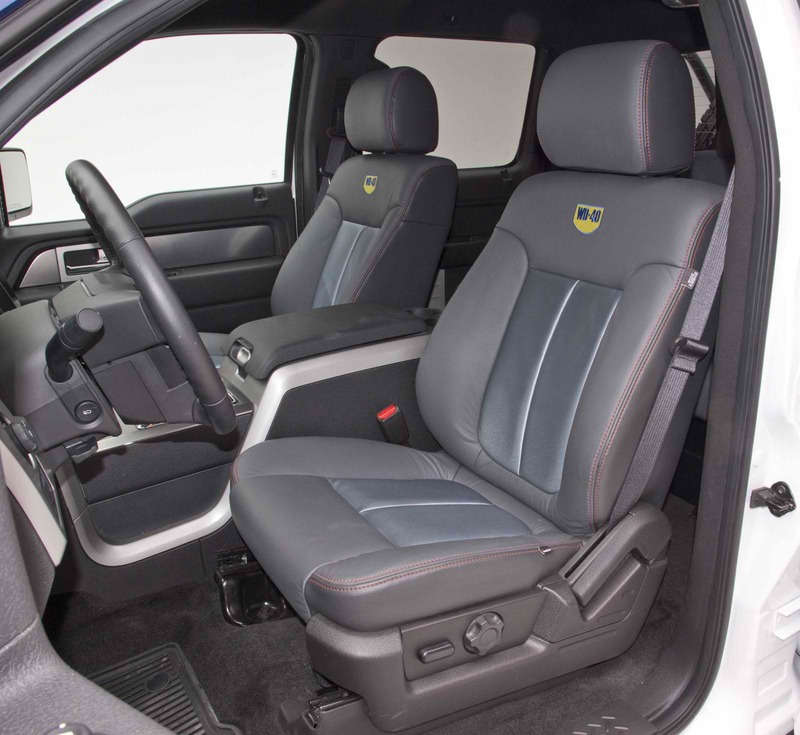 AMP Research supplied and installed power running boards, bedsteps and a tailgate extender to make it easy to get in and enjoy the plush Katzkin leather interior and top-of-the-line Clarion sound system installed by Audio Innovations. To top it off, the custom truck is riding on Falken Wild Peak A/T 37×12.5R17 tires wrapped around 17” x 9” MHT Fuel Maverick wheels in a matte Graphite finish. 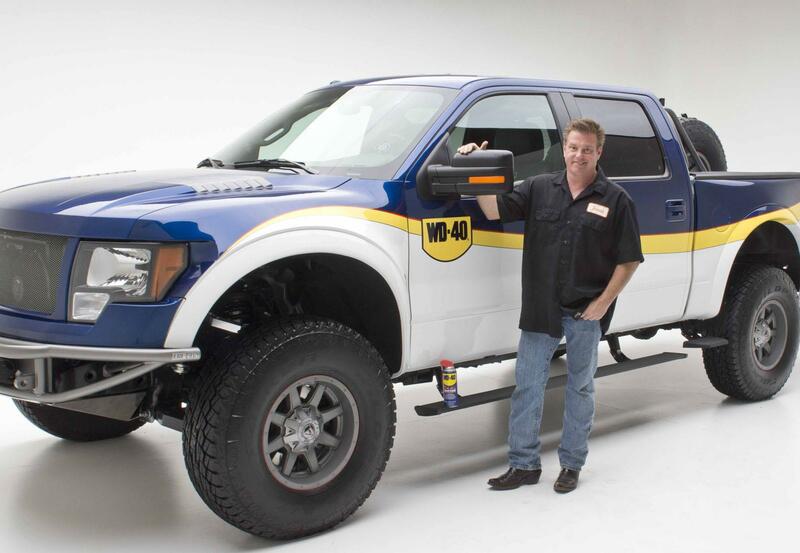 Partners on the WD-40/SEMA Cares Foose Ford F-150 include: Foose Design, Source Interlink Media, LGE*CTS Motorsports, Whipple Superchargers, Icon Vehicle Dynamics, MHT Wheels, Boatec, Magnaflow, BASF, Katzkin, Audio Innovations, Amp Research, Fuel-Tool, Bulldog LED Lighting, Banks Power, HushMat, Mag-Hytec, Warn Industries, Optima Batteries, Falken Tire, PowerBass, Atlas Spring, Clarion and Metra Electronics. This is the sixth vehicle WD-40 Company and SEMA Cares have teamed up to build and the fourth vehicle Chip Foose has designed with them. To date, WD-40/SEMA Cares vehicles have raised more than $575,000 for SEMA Cares charities. 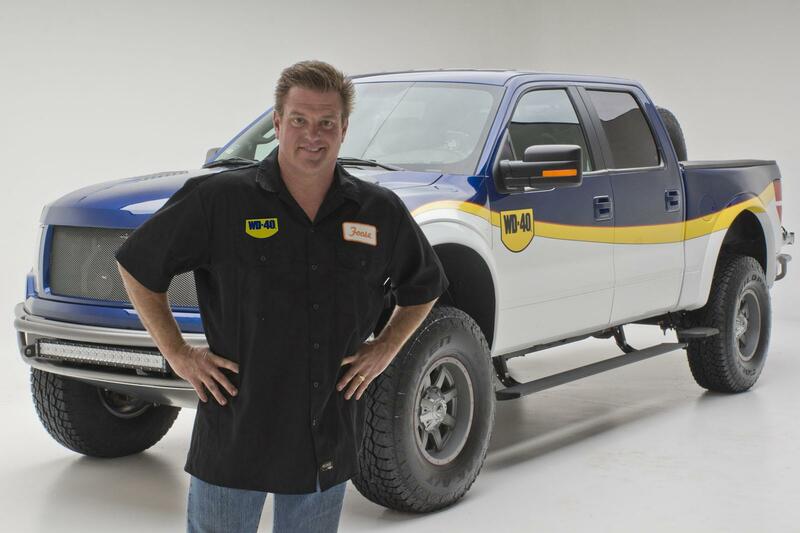 To learn more about the build and how Chip Foose uses WD-40 Multi-Use Product and the new WD-40 Specialist® line of products, visit WD40.com/Foose. To learn more about the raffle, visit WD40.com/TruckRaffle.